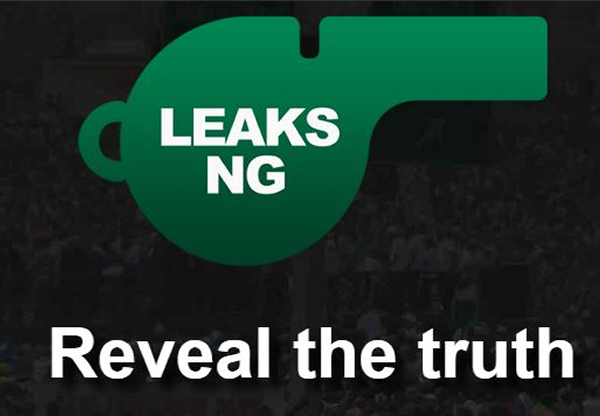 The attention of the Federal Ministry of Industry, Trade and Investment has been drawn to the various stories in the media on Project MINE (Made in Nigeria for Export) and the Nigeria SEZ Investment Company Limited (NSEZCO), some of which include inaccuracies and misrepresentations of the facts. It is therefore important to set the record straight in the interest of all stakeholders and the general public. Project MINE is a Presidential Initiative, under the supervision of the Honourable Minister of Industry, Trade and Investment to develop “world-class” Special Economic Zones (SEZs) across Nigeria and boost the manufacturing of ‘Made in Nigeria’ goods for export, regionally and globally. Project MINE’s strategic objectives are to increase manufacturing sector’s contribution to GDP to 20%, create 1.5 million new direct jobs and generate over US$30bn annually in foreign exchange earnings by 2025, amongst others. Given the Federal Government of Nigeria’s (FGN) limited annual budgetary resources for infrastructure and SEZ development, the Federal Executive Council (FEC), Economic Management Team (EMT) and Project MINE’s Steering Committee (including various stakeholders) endorsed Project MINE’s implementation strategy to use a sustainable Public-Private Partnership (PPP) model to develop world-class SEZs across Nigeria. Nigeria LNG, Nigeria Mortgage Refinance Company Limited and Development Bank of Nigeria Limited have adopted similar PPP models. In line with the PPP model, a special purpose public-private partnership (PPP) entity – Nigeria SEZ Investment Company Limited – was designed to enable institutional investors participate in Project MINE alongside the FGN, and to apply global best practices and processes to the long-term financing and development of SEZs.In June 2018, the FEC approved NSEZCO as the vehicle for implementing Project MINE and for co-investment between the FGN, development finance institutions and other institutional investors. NSEZCO is NOT a privately-owned company. NSEZCO was incorporated at the Corporate Affairs Commission (CAC), on the 12th of June 2018 as a limited liability company under the Companies and Allied Matters Act, Cap C20 Laws of the Federation of Nigeria 2004 (CAMA), with the FGN represented by the Ministry of Finance Incorporated (MOFI), holding 25%of the shares in NSEZCO at incorporation. The remaining 75% shareholding was held in trust by A&O Secretarial Services Limited, the Company Secretaries,on behalf of a group of development finance institutions who had indicated interest in co-investing with the FGN in NSEZCO (the Strategic Investment Partners), whilst they completed internal investment approval processes for their shareholding in NSEZCO. The Strategic Investment Partners are African Export-Import Bank (Afreximbank), Bank of Industry Limited (BOI), Nigeria Sovereign Investment Authority (NSIA), Africa Finance Corporation (AFC) and African Development Bank (AFDB). Dr Bakari Wadinga,who was Director, Revenue & Investment, Office of the Accountant-General of the Federation, was appointed as a Director representing MOFI on the Board of NSEZCO. Mr Olufemi Edun and Ms Oluwadara Owoyemi who lead the Project MINE project delivery team were also nominated as Directors by the Minister of Industry, Trade and Investment following consultation with the Strategic Investment Partners. None of these Directors have any beneficial interest, directly or indirectly in the shares of the Company. NSEZCO intends to raise $US500million in equity by 2023 from the FGN, the Strategic Investment Partners and other institutional investors. Currently, NSEZCO is executing a Round 1 equity fund-raising programme for $250million, in tranches. The Strategic Investment Partners participated in a signing ceremony presided over by President Muhammadu Buhari on the 8th of February 2019. Definitive agreements were signed between NSEZCO, Afreximbank, BOI and MOFI, with NSIA signing a Memorandum of Understanding to signify its interest to invest in NSEZCO subject to its internal approval process. AFC and AFDB who are also at various stages of their internal approval processes, were also in attendance. Senior Representatives of the Strategic Investment Partners have been nominated to the Board of Directors and NSEZCO is currently carrying out the necessary processes to perfect their appointment and registration at CAC. The recruitment process for NSEZCO’s substantive management team has commenced. In addition, pre-development studies are ongoing for greenfield SEZs in Benue, Kwara and Sokoto States whilst studies will soon commence in Ebonyi, Edo and Gombe States amongst several others. Further to the Memorandum of Understanding signed with the Federal Ministry of Industry, Trade & Investment in June 2018, Shandong Ruyi Group, the leading integrated textile and garment group in China and one of the largest worldwide, met with President Buhari during the Forum on China-Africa Cooperation in September 2018 and announced an investment commitment of $2bn to the Cotton, Textile and Garment industry in Nigeria by way of anchor investments in manufacturing facilities in Enyimba Economic City, Abia State, Kano and Lekki Model Industrial Park. On the 28th of March 2019, CCCG Industrial Investment Holding Company (CIHC), a subsidiary of China Communications Construction Group ranked 91st in the Fortune 500 companies and the 3rd largest international contractor globally, signed a Letter of Intent to invest in the Lekki Model Industrial Park Project as a Developer and to be the Lead Investor in a package of external infrastructure projects to serve the entire Lekki Free Zone Area including, power, water, access roads and bridges. Whether it is lawful to transfer Project MINE funds to NSEZCO. NEPZA is not the implementing entity for Project MINE and Project MINE is not under NEPZA. NSEZCO was not established to take over the functions of NEPZA. The mandates of both entities are distinct with little or no area of overlap. NSEZCO is set up to facilitate investments in SEZs. This does not touch on or derogate from the functions of NEPZA under the existing law. The relationship between NSEZCO and NEPZA is that of sector participant (albeit indirect) and sector regulator. NSEZCO is an investment vehicle and not a regulator while NEPZA is a regulator. The provisions in the Appropriation Acts of 2017 and 2018 were made for Project MINE and not for NEPZA but were domiciled in NEPZA at the specific request of the Honourable Minister of Industry, Trade & Investment. The transfer of Project MINE funds to NSEZCO is lawful and does not contravene the Appropriation Acts or the NEPZ Act, Therefore, the funds domiciled in NEPZA should be released to NSEZCO to enable her to utilise same for the Presidential initiative – Project MINE as approved by the Federal Executive Council. We will continue to provide regular updates to the public on this transformational Presidential Initiative.